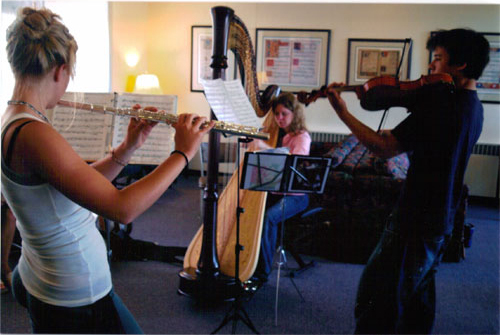 We also offer elective music activities in addition to the rehearsals and master classes. In general, our students are welcomed into a relaxed schedule of in-depth training that includes a focus on dealing with performance stress. 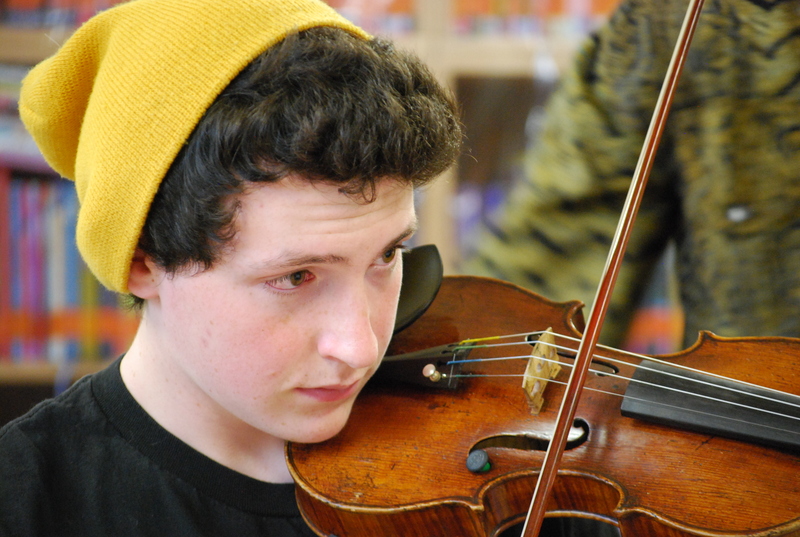 In the process, strong relationships are formed in addition to life-long musical skills. Times for socializing and pizza are built in as well! Registrations due May 1st. Please contact us after that date for openings. Our program features coached rehearsals with professional coaches; master classes in performance techniques and musical styles; sight-reading and rhythm classes; and a pizza party! Already formed groups are welcome or we will match you up to an appropriate group. RECORDED PLACEMENT AUDITIONS FOR NEW APPLICANTS DUE BY SATURDAY, APRIL 27th. Returning campers or applicants coming with a pre-formed group do not need the audition. You will be contacted with a time. Jane Harty, pianist, is the Artistic Director of Music Northwest. As Director of the highly acclaimed Music Northwest Concert Series, her work has received numerous grants and awards for innovative programming. She holds a D.M.A. degree from the University of Southern California. Her teachers have included internationally-known proteges of Alfred Cortot and Artur Schnabel, and she participated in the classes of Nadia Boulanger. She has served on the music faculty of Pacific Lutheran University. Mara Finkelstein studied cello at the Gnessin College of Music and the Tchaikovsky Conservatory in Moscow, Russia. She moved to the United States in 1989. An active freelance musician, she has performed with the Seattle Symphony, Seattle Opera, Cornish Chamber Series, Northwest Sinfonietta Chamber Orchestra, Federal Way Philharmonic Orchestra, Fear No Music 20th Century Ensemble and Seattle International Music Festival. She is very dedicated to a large class of private students. Joseph Gottesman is Director of Chamber Music Studies at the Seattle Conservatory of Music. His performing career has taken him to a wide variety of settings. He has toured most of the United States, as well as Central America and the Far East. In 2006 he was chosen as the viola soloist for Lincoln Center’s production of Bernarda Alba and performed as violist for the Broadway productions of Aida, Bombay Dreams, 110 in the Shade, as well as the national company of Phantom of the Opera. 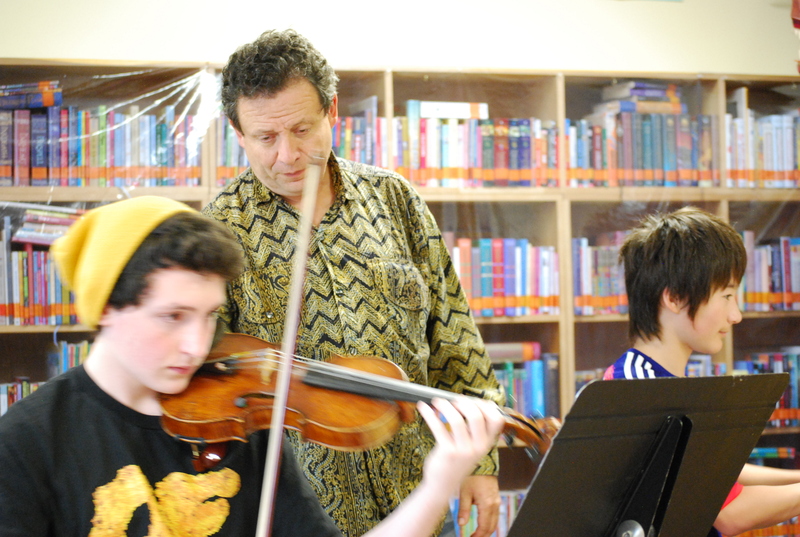 Mr. Gottesman served as Professor of Viola at Western Washington University, where he also coached chamber music and conducted performances of the WWU Chamber and Symphony Orchestras. Marjorie Kransberg-Talvi studied at the Juilliard School with Sally Thomas and Dorothy DeLay. In 1976, she became a pupil of Jascha Heifetz at the University of Southern California. 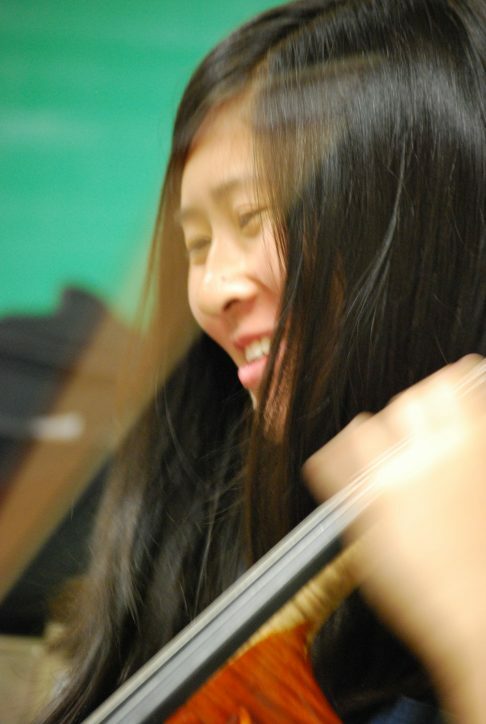 She served as Concertmaster and Resident Artistic Director for the Northwest Chamber Orchestra. Ms. Kransberg-Talvi also served as Concertmaster and Soloist for Pacific Northwest Ballet for two decades. With her husband, concert violinist Ilkka Talvi, she maintains an active and thriving teaching schedule. 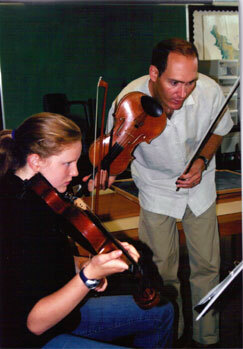 Many of her students have received national and international acclaim in performance and music education. This is her second season as Concertmaster for the Federal Way Symphony. Molly Porterfield has been studying Eurhythmics since the late 80’s when she was introduced to the Dalcroze world at Longy School of Music. Having already completed a BA in Music Theory and Composition (Lewis & Clark College), a Diploma in Jazz Piano Performance (Berklee College), she continued Dalcroze studies at the Lucy Moses School and Juilliard Evening Division, as well as at numerous summer sessions and national conferences. Molly holds a MAT in early childhood education and presently teaches music in the Portland Public Schools as well as theory classes for Portland Youth Philharmonic and Metropolitan Youth Symphony. 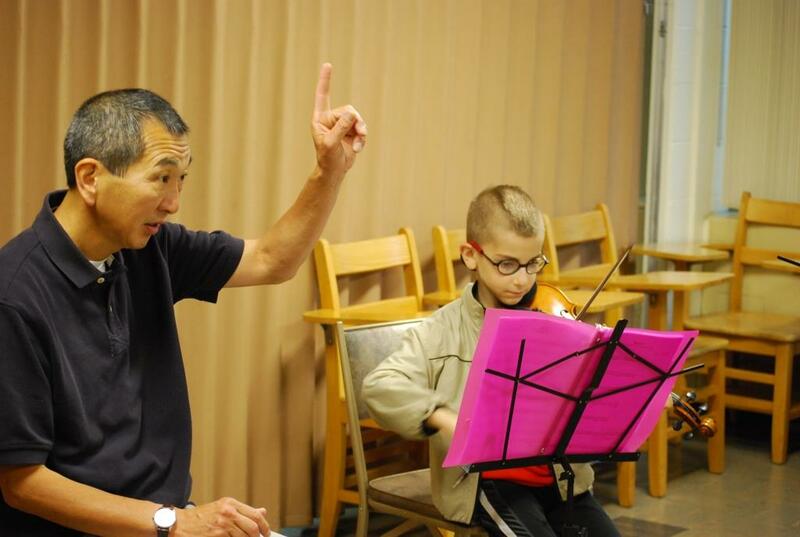 Marcus Tsutakawa, conductor, has been an instrumental music teacher in the Seattle Public Schools since 1979 and the director of the prize-winning Garfield Orchestra since 1985. He and the orchestra have performed regularly at Meany Hall. He is also the conductor of the Seattle Youth Symphony’s Junior Symphony Orchestra, a select group of 100 young musicians. Since 2000, he has led the Garfield Orchestra on four tours of Japan. Robin Peery, flutist, is a graduate of The Juilliard School where she was a student of Julius Baker. She is currently the Principal Flute of the Carmel Bach Festival. She performs regularly with the Seattle Symphony and Seattle Opera. This season she is appearing with Emerald City Music and also guest performing with the Detroit Symphony Orchestra. In addition, Robin frequently records with numerous Seattle ensembles for movies and television, as well as maintaining a private teaching studio. 10% discount for 2nd sibling! Includes special meet-and-greet reception with Campers. Campers are eligible for these awards and are notified the week of the Camp. Announced to the press. SAVE the DATE! The Tonkonogui Awards for Excellence in Chamber Music are given each year to chamber music groups of students, ages 7-21, who have shown outstanding achievement in chamber music. They are given in honor of Seattle Symphony cellist, David Tonkonogui, who died in 2004 at the age of 45. He was a stunning soloist and chamber musician, and also a beloved teacher of many young musicians.